Here we are announcing our fourth speaker. 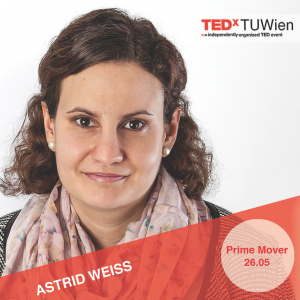 Astrid Weiss studied how humans interact with new technology. For her research on Human-Robot Interaction (HRI) she has been awarded a Hertha Firnberg grant from the FWF Science Fund, a postdoc programme aimed at promoting the university career of young female research scientists. Are you excited to know more about her Prime Mover?